While a marketing professional will typically tell you that design isn’t everything, the words are what sell products and services, it does help to have a good-looking email layout. And one that fits with your brand is imperative. You probably think this is a no-brainer, but believe me, I’ve seen some lousy looking email newsletters. Make it easy to read with lots of white space. Use your logo, but the entire email doesn’t have to be in the colors of your logo. Find complementary colors that work well with your brand and are easy on the eyes. Create good content. This is very important. Email Marketing isn’t email advertising. A few days ago, I was in a meeting with another marketing professional who said, ‘there is no such thing as Email Marketing. It’s just email advertising.” Well, that tells me he really doesn’t understand Email Marketing. The best email campaigns have a good balance between information and selling. Face it; if you aren’t going to have some type of call to action, then there isn’t much point in marketing, no matter how you do it. Everything in moderation, as they say. The other change we made to my clients' email blast was the addition of more links to websites. We had links that took the reader to their main website, a secondary site, white papers, their blog and social sites. We involved the reader in the email. It took them to a destination, the company website, that not only gave the reader more information about the topic, but it also gave them a chance to see other material they have on their site. You can also take them to other, non-competing websites if there are good articles there as well. Nudging them to your own website is by far the best. Write a subject line that creates excitement and draws attention. Don’t underestimate the importance of the email subject line. This is what draws people into your email. Stay away from ‘News From Our Team’ or other generic subjects. Take a cue from the content in your email. Are there great articles? Specials or discounts? An upcoming event? Drawing or giveaway? Be descriptive, but keep it short. It's best to keep it less than 30 characters, if possible. Do we need to continue to improve their email marketing results? Yes. We want to make sure we are using best practices in order to get the right people opening and clicking to their website. The improvements have just begun, but what a great way to get started. Develop your list of email addresses with individuals that have opted in to receive your emails. If you are using business cards you have gathered, it’s best to ask them if it is OK for you to add them to your list. Permission based lists are best practices in email marketing. They also provide the highest return. Always have some type of call to action. In other words, ask them to call or buy from you, sign up for something, or download something free. Ask them to do SOMETHING! Your call to action should be clear. Don’t overdo by having too many, but do give your readers the opportunity to easily click, email or call you. A pet peeve of mine is the overuse of exclamation marks. It desensitizes the reader to the real exciting news you have. Limit them to one or two per email!!!!!!!! Be sure and use software for your email marketing which gives you a rich analytics report, such as Constant Contact. This report should show you the number of times someone clicked on one of your links, how many of them opened your email and which links were clicked. Familiarize yourself with the CanSpam Act of 2012. It establishes seven requirements for commercial messages, gives recipients the right to have you stop emailing them, and spells out tough penalties for violations. They aren’t difficult to adhere to, but you should know them. Try sending a trial email to a small group. Why? It isn’t necessary to send your email to all recipients and pray it will work. Take a sampling and email them to see what happens. If it falls flat-not many opens and clicks, you may need to tweak it before it goes out to the general population. Always send yourself a test email to check how the email looks in the preview pane of the email client. Also, check all the links to make sure they work and are directed where you want them to go. Be sure that when someone unsubscribes from your newsletter or email that they are taken off immediately. Your brand is hurt when the person requesting to be unsubscribed continues to get emails after the request. Don’t be THAT company. If you are sending a newsletter, in contrast to a sales email, be careful it doesn’t turn into a sales piece. The two should be very distinguishable. It’s OK to make offers in an email newsletter, but it stops being a newsletter when you start selling too much. When should you send a newsletter? If you’re sending it for business, Tuesday and Wednesday are the best days. Definitely nothing past Thursday (read: no Fridays) and don’t hit them on Monday unless it is absolutely necessary. If your targets are consumers, any evening during the workweek is good and on the weekend, Sunday is best. What time should you send a newsletter? For business emails, studies have shown that between 10 and 2 is the best time. In my own experience, I have found that around 8:00 AM works well. They get a chance to look at it first thing when they get into the office. No matter what software you use for your email marketing, Constant Contact or another one, be sure to put a link to subscribe to your newsletter on all websites and social sites. This is a good way to grow your legion of followers. Part 2 of Easy Tips to Improve Your Email Marketing Results will be posted next week. Sign up to receive all of Cindy's blog articles directly to your email by filling out the Follow Us by Email box on this page. 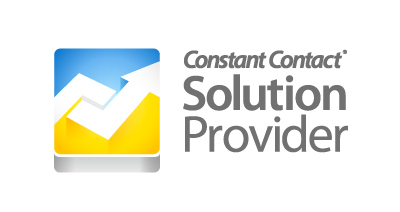 Cindy is part of the Constant Contact Experts program and a Constant Contact Solution Provider. Email her with questions here. Great suggestions on how to use email marketing successfully Cindy. I plan on sharing this in next week's edition of my online paper as it is great advice for small businesses. Email marketing is a great way to attract your customers and to generate the leads. Apart from above mentioned steps one more step which is worth doing while email marketing is to proofread you email before sending because an email filled with errors can cause a wrong impression. Apart from this by on hold message marketing you can also spread your message to the ground level audience in very easy manner. Agreed. Errors in emails give an impression that the sender has no attention to detail and is sloppy. Neither of those images are good when you use email marketing to keep in touch with prospects and clients. email marketing list You need email marketing to do things right. Create quality, eye-popping emails that work. Save time. Save money. Get your message out to the masses. Nice blog.! I am glad to visit here. Thanks for sharing with us. A person should always verify email address for every entry in their list. That way, they can run better email campaigns.